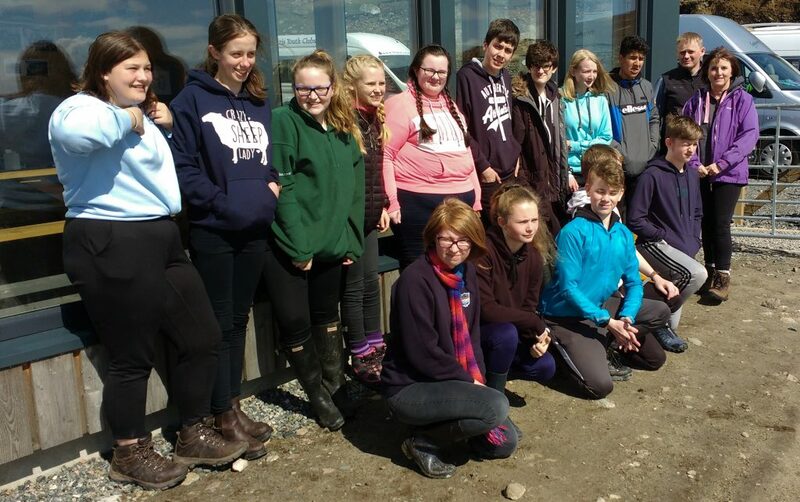 Last week saw the S3 year group from Sir E Scott School head out for the annual Enterprise Day run by The North Harris Trust. This year pupils headed for Huisinis Gateway, stopping off at various local businesses on the way. The aim of the day is to show the pupils the opportunities that Harris offers. They talked to a number of businesses to find out what Harris has that makes them successful. A theme of water and rain emerged during the day, despite us basking in sunshine for the event. Pupils saw how rain was used in the production of whisky, electricity and salmon. They finally saw John Muir Trust volunteers repairing footpaths that were suffering from rain damage. After lunch at the Huisinis Gateway, teams presented their findings from the morning to teachers and NHT staff. Thanks must go to Isle of Harris Distillers, River Generation Ltd, The Scottish Salmon Co and The John Muir Trust for their participation in the event.